The biggest improvement to the IBM Cloud Catalog is our simplified categorization of services. Using a cleaner set of familiar, industry-understood categories and sub-categories, we have made it easier for users to search, filter, and browse all of our offerings. In making these changes, we wanted our users to be able to efficiently find the services they enjoy and quickly understand all the services IBM Cloud has to offer. As we experimented and tested our proposed solution, we saw that a lot of our users preferred the new categorization and found it easier to ultimately create a service. Our new categories are a solid win and a positive step in our constant effort to make our customers happy. 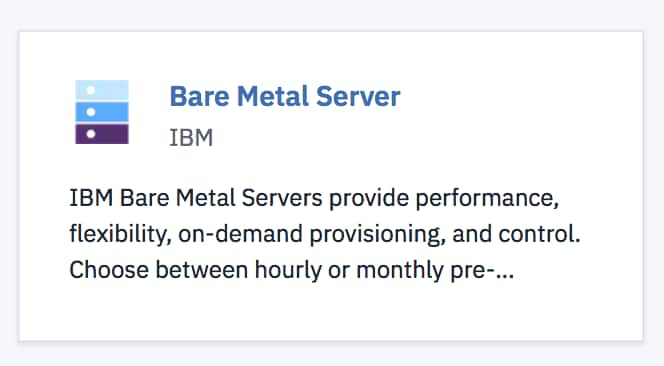 The next enhancement is the addition of “Featured Offerings” to the top of the Cloud Catalog. Similar to our simplified categories, we wanted to improve discoverability now for specific, strategic services. Currently, we feature our highly-used Watson Assistant and Virtual Server offerings, and we plan to experiment with more as new services like HPC and VPC become available. Lastly, we gave our catalog a facelift with a fresh user interface designed to deliver the right information to our users. New cards for services and starter kits give our users a modern, condensed look and feel and more helpful descriptions per offering. We also noticed a lot of our users wanted to search for specific services, so we decided to make the search bar at the top of the catalog more persistent and available when scrolling. Developers and IT Admins alike can now efficiently gather the necessary information they need to ultimately make a purchase decision. 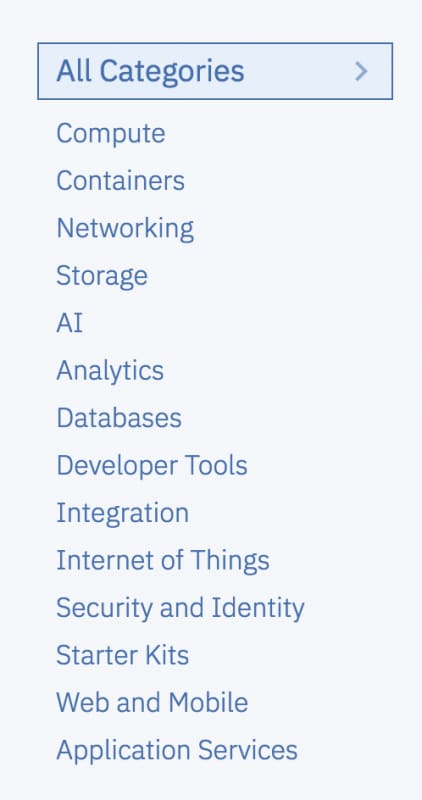 All in all, the new and improved IBM Cloud Catalog addresses our user pain points regarding not finding enough detail about what IBM Cloud has to offer. The new cards, new categories, and new featured services all simplify and elevate the catalog user experience.